With the approach of warmer temperatures and the motorcycle riding season in Pennsylvania, PennDOT Thursday urged riders of all ages to prepare by taking a free motorcycle training course. These courses are available to Pennsylvania residents throughout the commonwealth through the Pennsylvania Motorcycle Safety Program (PAMSP). 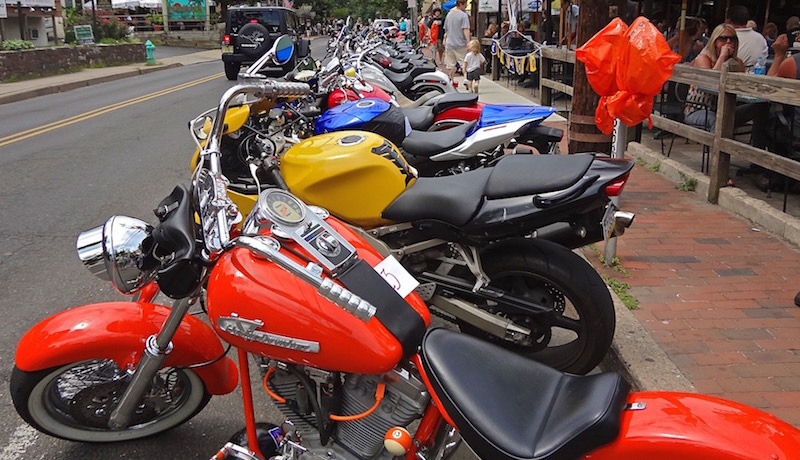 Free courses for novice through seasoned riders are offered at numerous locations statewide to Pennsylvania residents who have a motorcycle learner’s permit or motorcycle license. All training courses are conducted on a riding range, under the supervision of certified instructors. For inexperienced riders seeking a license for the first time, PAMSP offers a five-day, 15-hour licensing course called the Basic Rider Course (BRC). This course consists of five hours of in-class instruction and 10 hours of practical riding, provides valuable training for new riders, and gives experienced riders the opportunity to polish their skills and correct any unsafe riding habits they may have developed. Students taking the BRC are provided with a motorcycle and helmet; however, students are responsible for providing all other protective gear. 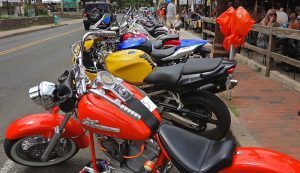 Act 84 of 2012 put into place the requirement that all permit holders under the age of 18 successfully complete the BRC in order to receive their motorcycle license. More experienced riders who have held a permit for an extended period and already have a motorcycle, may take a one-day, six-hour licensing course – the Basic Rider Course 2 (BRC2). The course is also recommended for skilled riders who want to refresh their safety knowledge and hone their on-road skills. Students taking the BRC2 must provide their own motorcycle and protective gear. The Advanced Rider Course (ARC), is a one-day training session modeled after a military training course, which offers licensed motorcyclists a chance to enhance their safety skills through a minimum of 3.5 hours of classroom instruction and 4.5 hours of practical riding experience designed to enhance riding attitude and awareness. Participants in the advanced course are required to use their own motorcycle. Rounding out the PAMSP training courses is the 3-Wheeled Motorcycle Basic Rider Course (3WBRC), a 12-hour course comprised of four hours of classroom instruction and eight hours of practical riding. Students must provide their own three-wheeled motorcycle and protective gear. Motorcycle learner’s permit holders who successfully complete the BRC, BRC2 or the 3WBRC will be issued a motorcycle license. Those who successfully pass the 3WBRC on a three-wheeled motorcycle will be issued a motorcycle license with a “9” restriction, meaning they are prohibited from operating a two-wheeled motorcycle. For more information or to enroll in a course, visit PAMSP online, or call (800) 845-9533. Potential riders looking for a convenient way to prepare for their knowledge test can download the P.A. Motorcycle Practice Test app online by searching the “mobile apps” for the Pennsylvania Motorcycle License Practice Test, or by using the App Store (Apple devices) or Google Play (Android devices). A copy of the Motorcycle Operators Manual can also be downloaded for free online.